Toners can be incorporated into a daily skin care routine in order to balance the pH of the skin. By balancing the pH of the skin, you facilitate the penetration of active ingredients found within products such as serums and moisturisers which are applied to the skin after toning, therefore achieving more effective results. Toning removes all traces of the cleanser, which also has a stimulating effect, preparing the skin for the nourishing sequence which follows the thorough cleansing routine. This thorough preparation allows for the proper uptake of the ingredients, to be applied according to the skin care concerns. DO YOU KNOW WHAT TO LOOK FOR IN A TONER? Toning your skin is not something that all consumers deem as necessary in their daily skin care routine however, it is a vital process in preparing your skin for active products such as serums which are applied after the toning of the skin. By toning the skin you not only balance the pH of the skin but you also facilitate the penetration of active ingredients, this is done by performing a friction technique during the toning process. This friction movement allows for an increase in micro-circulation to the superficial layers of the skin and therefore encourages a more effective absorption of active ingredients. Staying away from toners which contain alcohol or artificial fragrances is recommended as this can be too harsh on the skin and may cause a sensitivity response. When looking for a toner you should look for an alcohol free and pH balanced lotion. This will ensure that you are not applying harsh products to the skin and thereby creating a sensitivity response due to the imbalance of the skins pH. 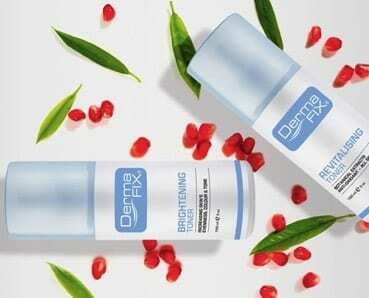 DermaFix Toners are pH balanced and alcohol free thereby offering the ability to stimulate the skins micro-circulation with no sensitivity response. 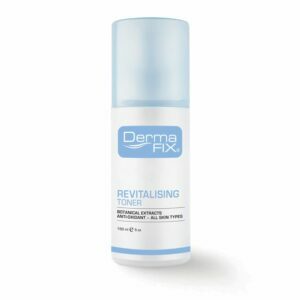 Revitalising Toner helps to hydrate the skin and provide benefits to all skin types ranging from dehydration to sensitivity. The Brightening Toner is slightly more stimulatory and is indicated for the correction of hyperpigmentation and the improvement of ageing.